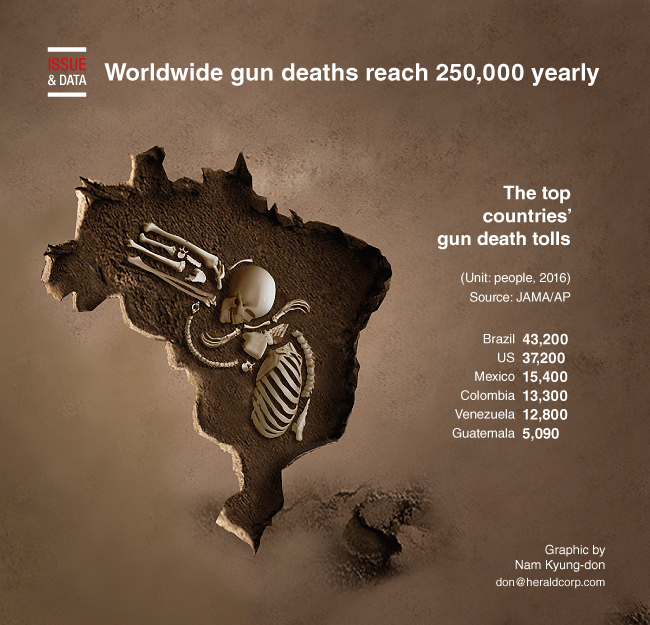 A new study finds gun deaths worldwide total about 250,000 yearly. And the United States is among just six countries that make up half of those fatalities. The findings are from an analysis of global data from 1990 to 2016. Two-thirds of the gun deaths in 2016 were homicides, although the US is among wealthy countries where suicides by gun outnumber gun killings. The US had the second-highest suicide rate in 2016, but ranked 20th in overall gun death rates.